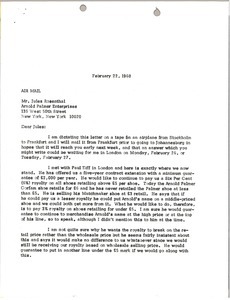 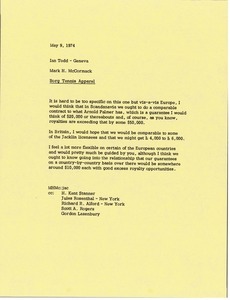 McCormack outlines a five year contract extension with Paul Ziff of Stylo Shoes Limited, a potential agreement with DuPond International in Geneva, selling Hong Kong merchandise under Doug Sanders name in England, Tom Carter who would like to partner with them and R. Hodel who would like to distribute Arnold Palmer clothing. 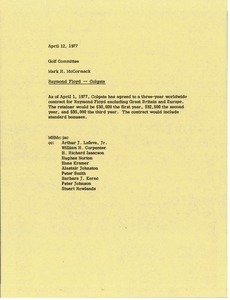 Colgate has agreed to a three-year worldwide contract for Raymond Floyd. 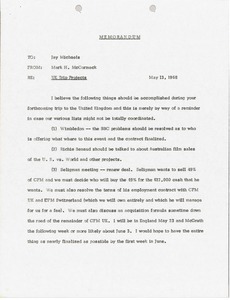 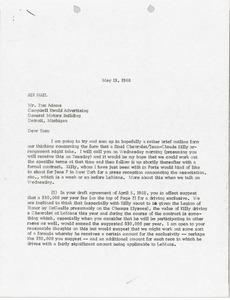 Cleveland (Ohio) - McCormack writes regarding the Chevrolet and Jean-Claude Killy arrangement addressing aspects of the draft agreement, Killy driving a Chevrolet, length of contract, television commercials, fees, print ads, films, expenses, content control on a television special, dealer appearances, Chevy Sports Shops and merchandise. 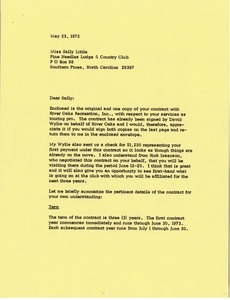 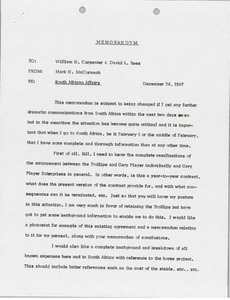 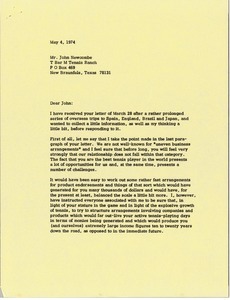 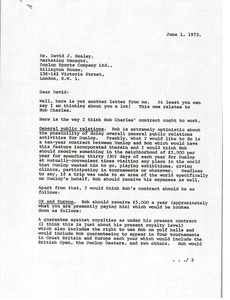 McCormack writes regarding Bob Charles' contract including doing public relations activities for Dunlop, fee per year in the United Kingdom and Europe, royalties, equipment affiliation, tournaments, win bonuses and details about contracts in United States, Japan, Canada, South Africa, New Zealand and Australia. 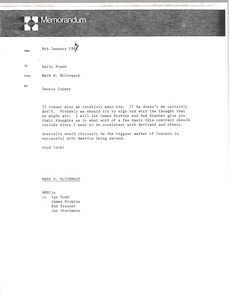 Concerning whether to sign Dennis Conner or not.